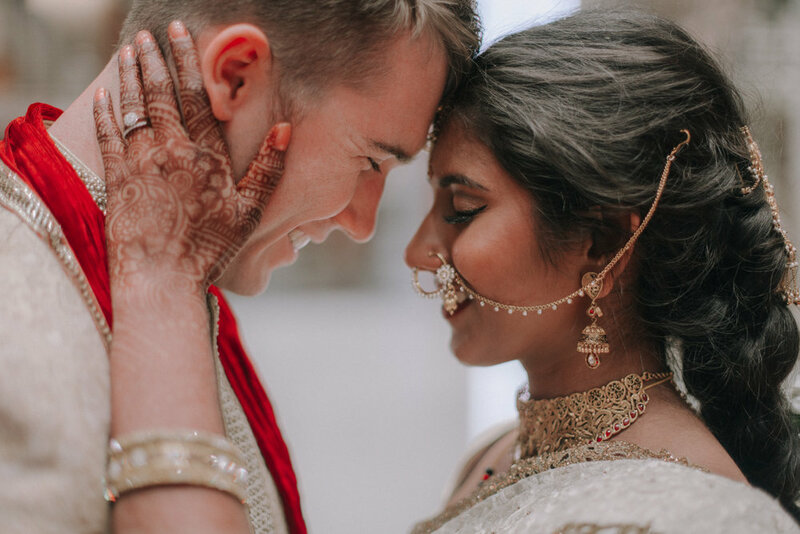 For any couples planning a multicultural wedding, take notes from Smita and Erik who paid homage to both their Hindu and English heritages in one cohesive celebration. 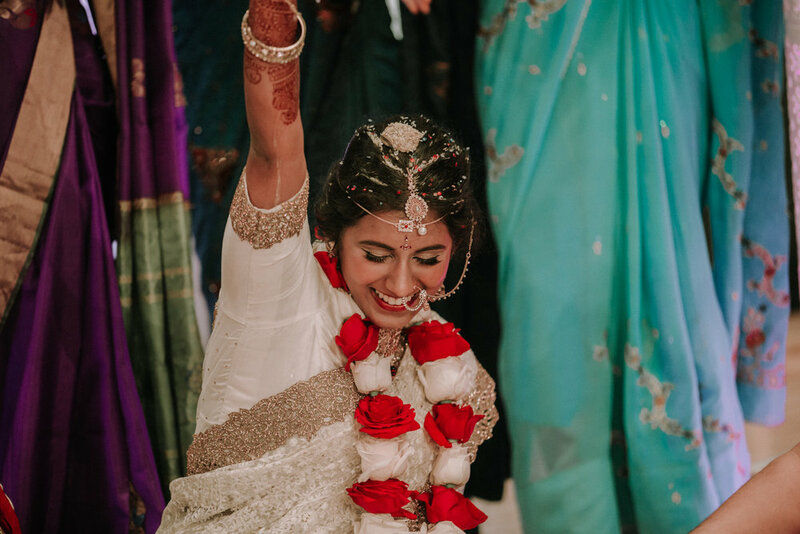 They began with a mehndi (henna) ceremony, a Western-style ceremony set in a rustic and vintage downtown venue followed by a traditional Hindu ceremony occurring at the largest Hindu temple in America. 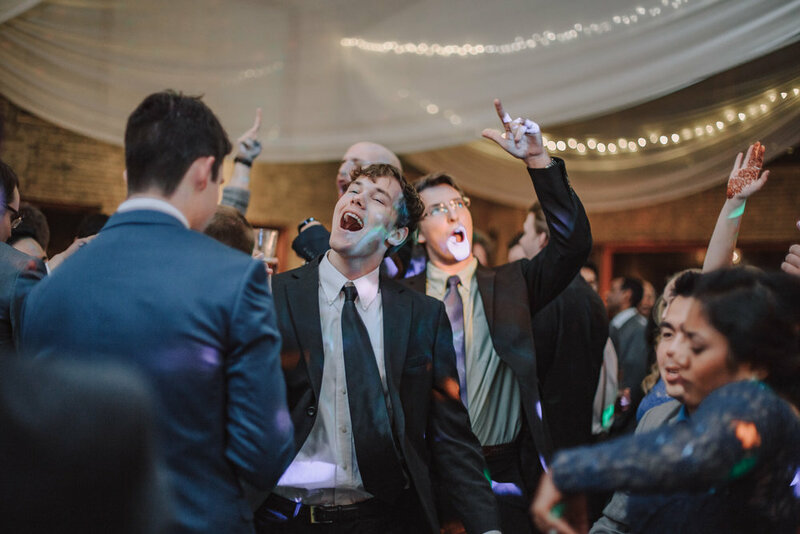 It was one of the most colorful, lighthearted and inclusive ceremonies I’ve ever had the privilege to capture. 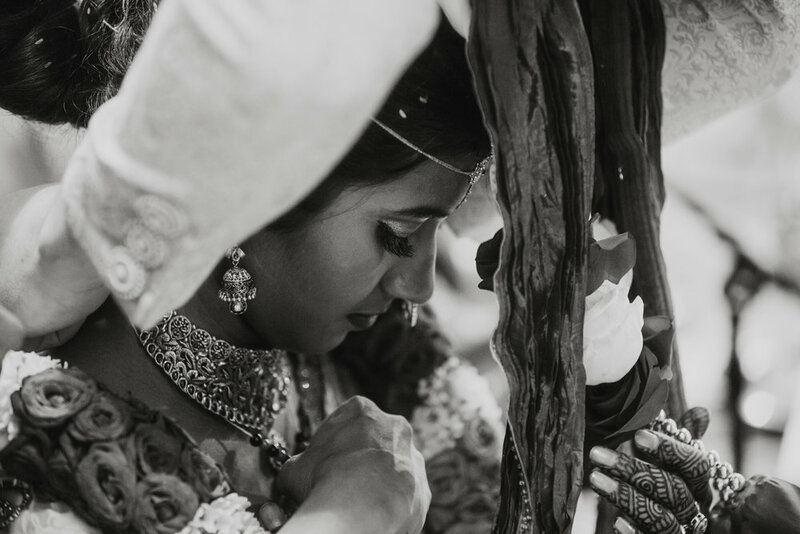 It involves both family’s participation and has many different traditional elements including offerings to the gods, promises made between the parents to care for each others child and even a part where the groom takes the bride's hand to show her the double stars. 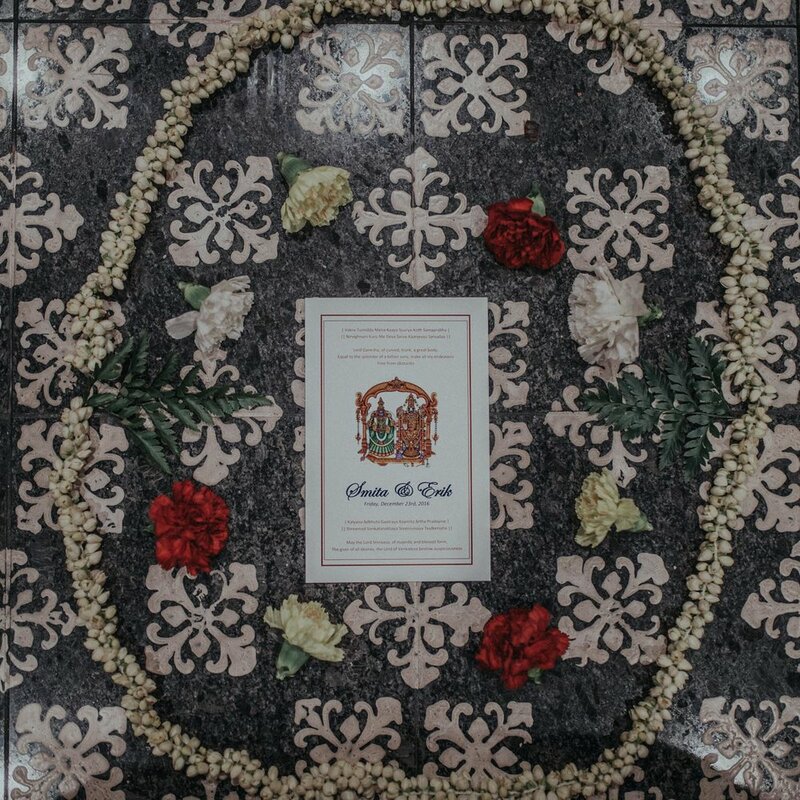 It was a brilliant unification of families, traditions, and cultures. 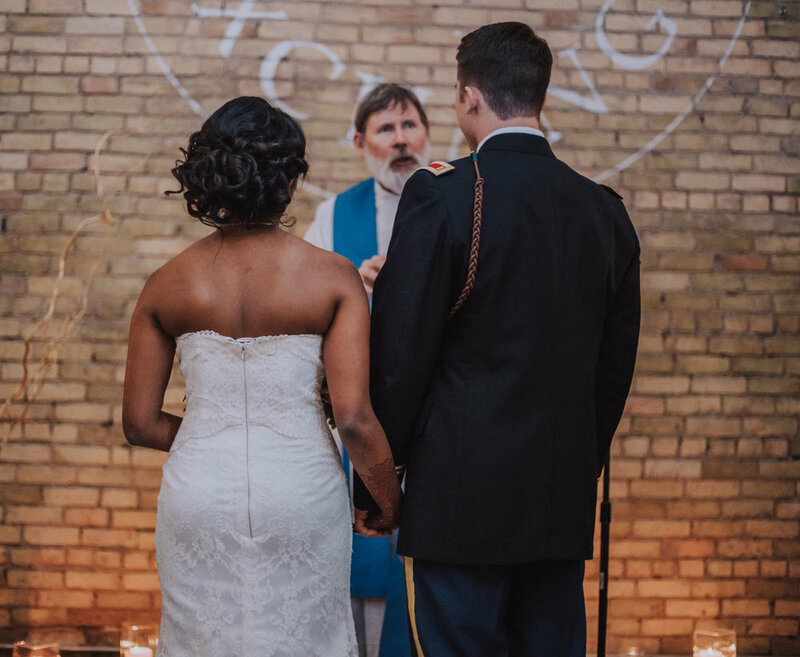 My heart went a flutter when my remarkable colleague and friend Makayla of Meadowlark Events (an amazing wedding planner) asked me if I would be up for photographing this grand and exquisite wedding celebration. 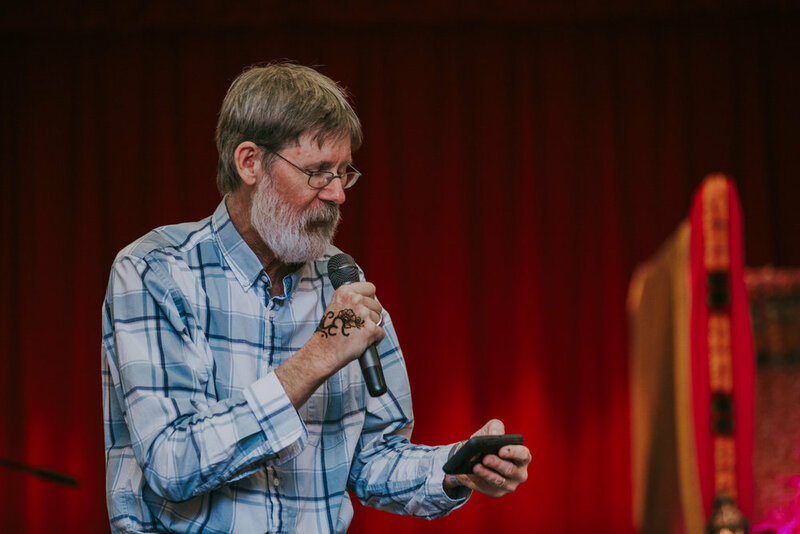 I will never be able to thank Makayla enough for trusting me with such a task, and will forever be grateful for this immersive cultural experience. 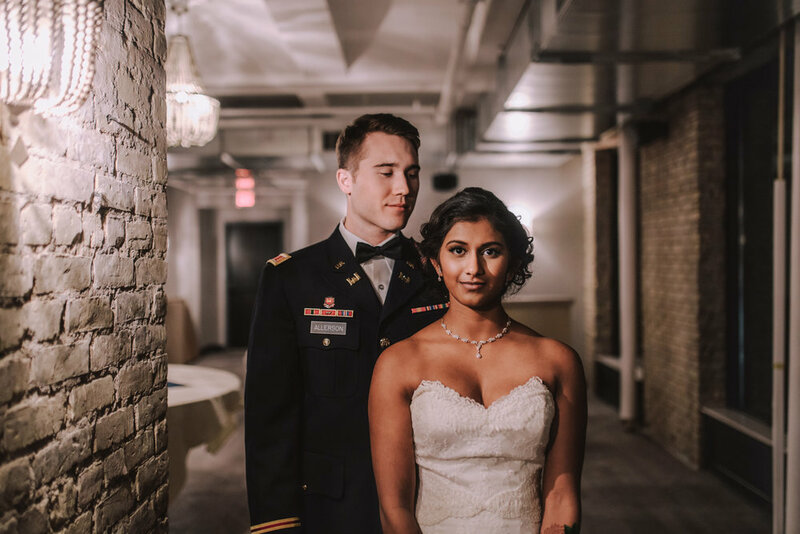 Upon meeting Smita and Erik when they made their way to Minnesota, I fell in love immediately. 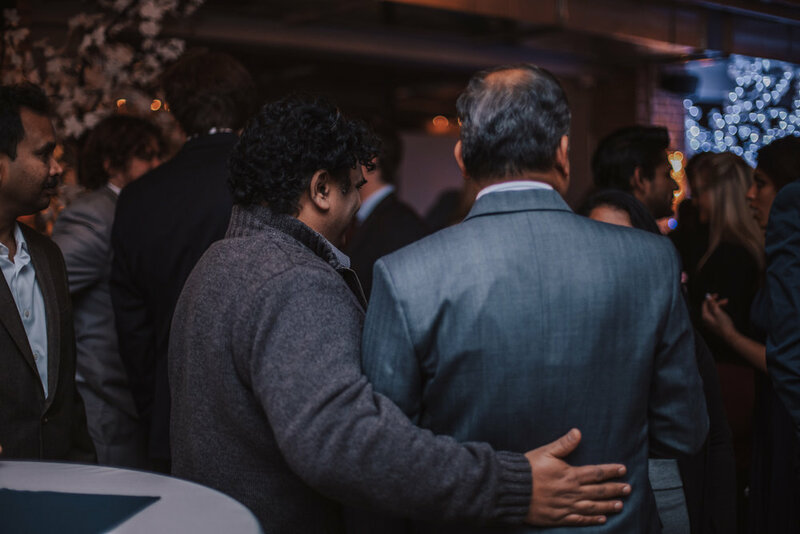 Smita is an adorable and extremely caring woman that embodied a warm fire that lit up wherever she went. 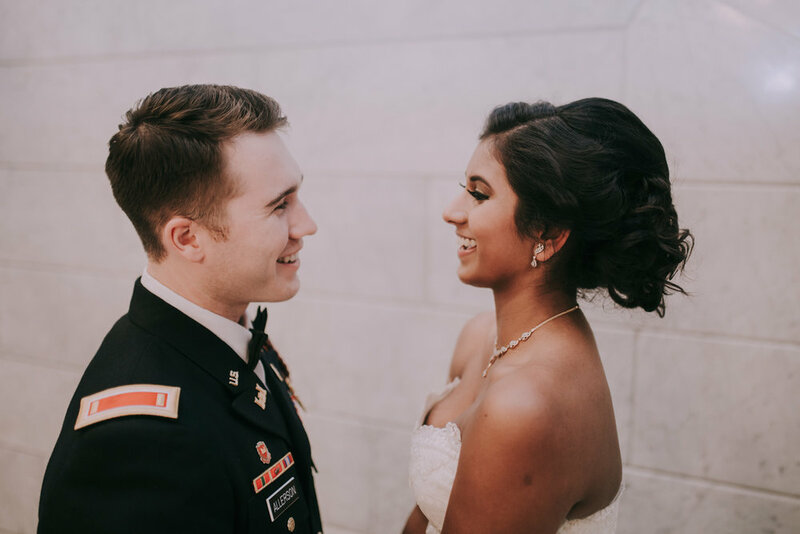 Erik is a handsome and nurturing man who is in the US Army, and both he and Smita attended St. Olaf together in Northfield, MN. 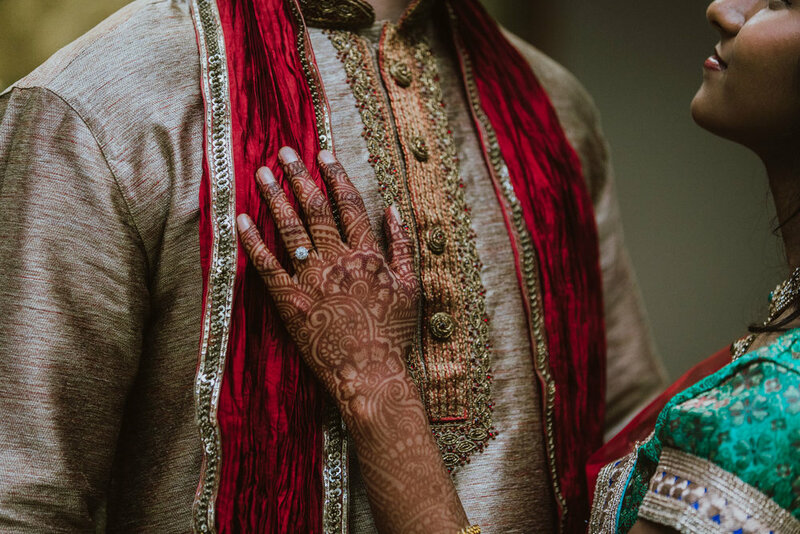 Smita and Erik treated me with an incredible amount of kindness that after the Mehndi ceremony, I felt as if I was a part of their family. 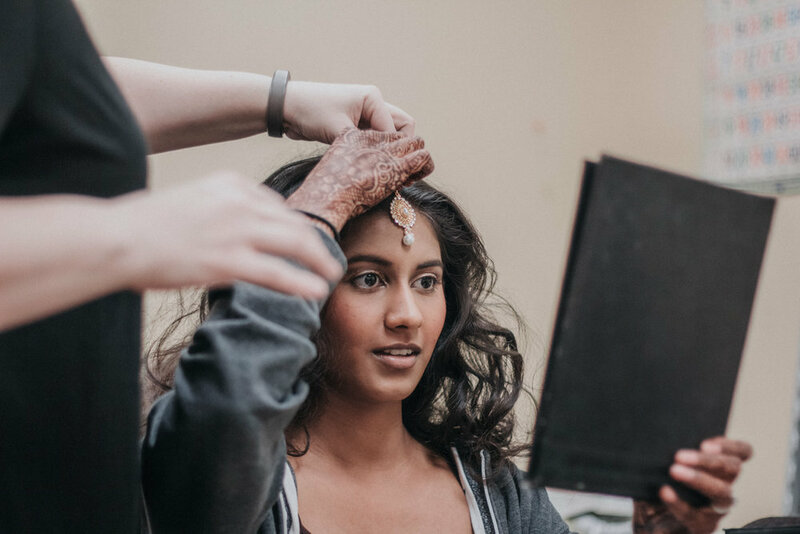 The first day was the henna ceremony, and my first time at the Hindu Temple of Minnesota. Upon arriving the Rajagopuram, the central tower welcomed me. The Rajagopuram is a monumental tower, usually ornate, at the entrance of any temple, especially in Southern India. Gopurams are exquisitely decorated with sculpture and carvings and painted with a variety of themes derived from Hindu culture, particularly those associated with the presiding deity of the temple where the Gopuram is located. 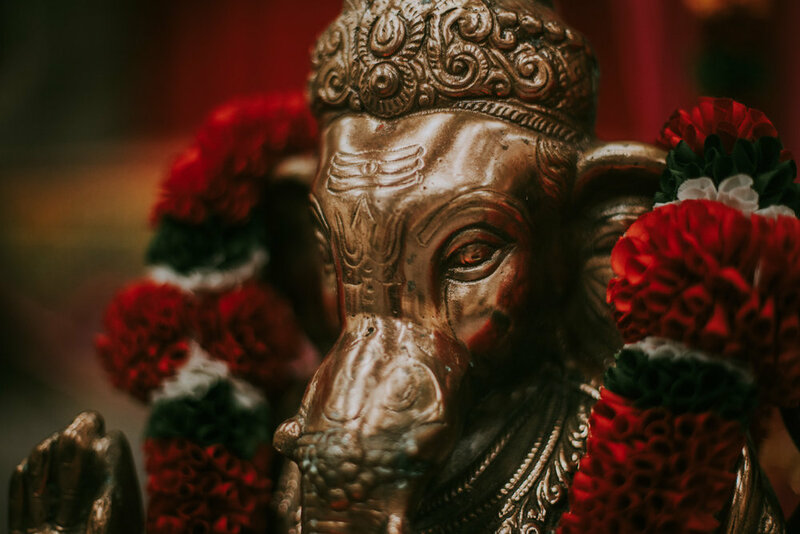 The main entrance of this beautiful Hindu temple faces east and consists of two sets of massive, handmade brass-covered copper doors when opened allow the light of a summer sunrise to shine on the face of the central deity during special festivals and celebrations. 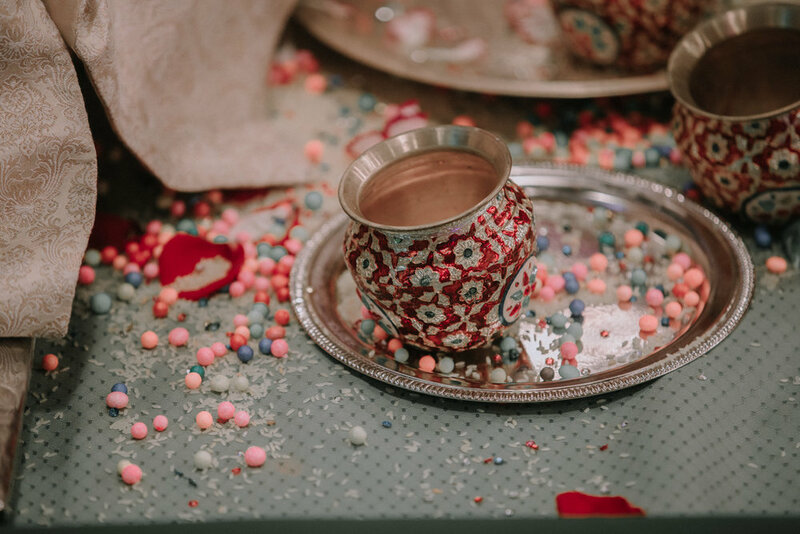 The mehndi event is a colorful and fun celebration held the night before the wedding, which is traditionally celebrated by the women on the bride’s side of the family. 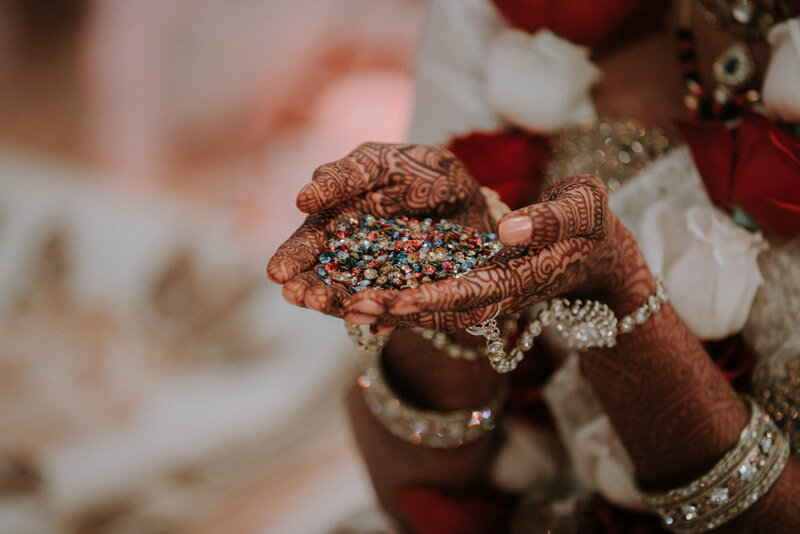 A professional mehndi artist or relative will apply henna in intricate designs to the hands and feet of the bride and other women in the family. These intricate designs symbolize joy, beauty, spiritual awakening, and offering. 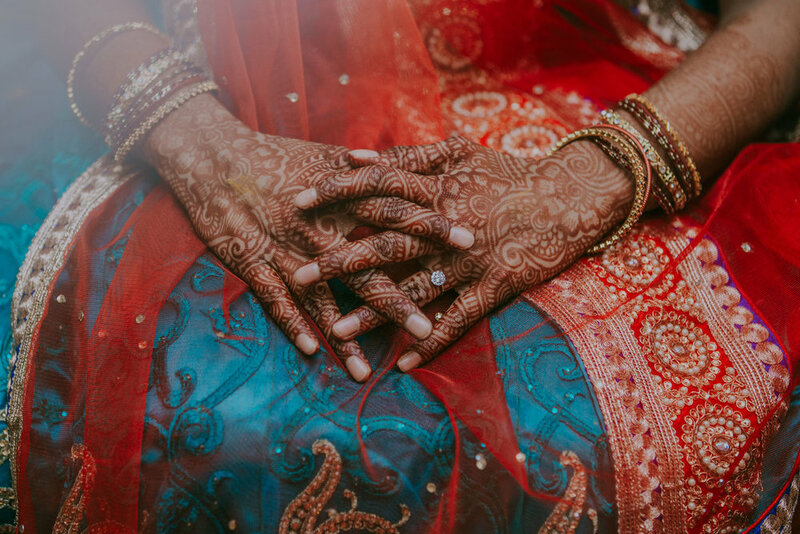 The bride’s mehndi sometimes goes half way to her knees. 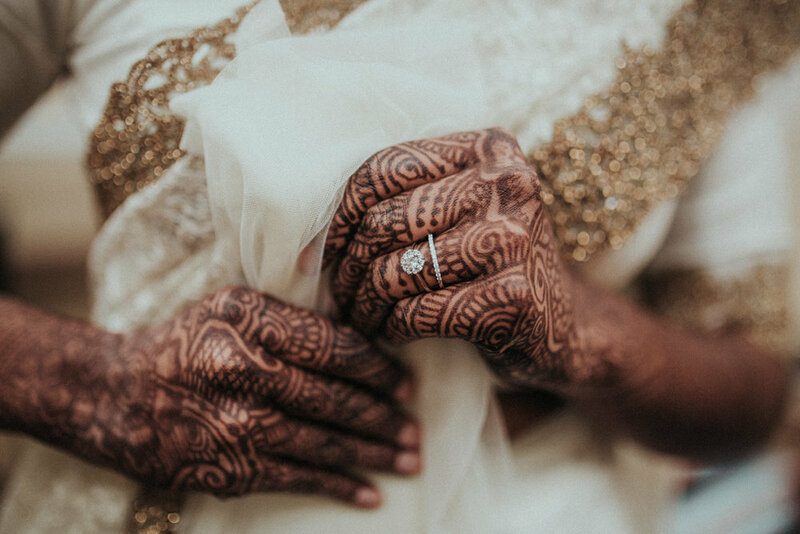 Smita's hands were no exception, which were interwoven with beautiful henna, telling stories with its shapes and lines. 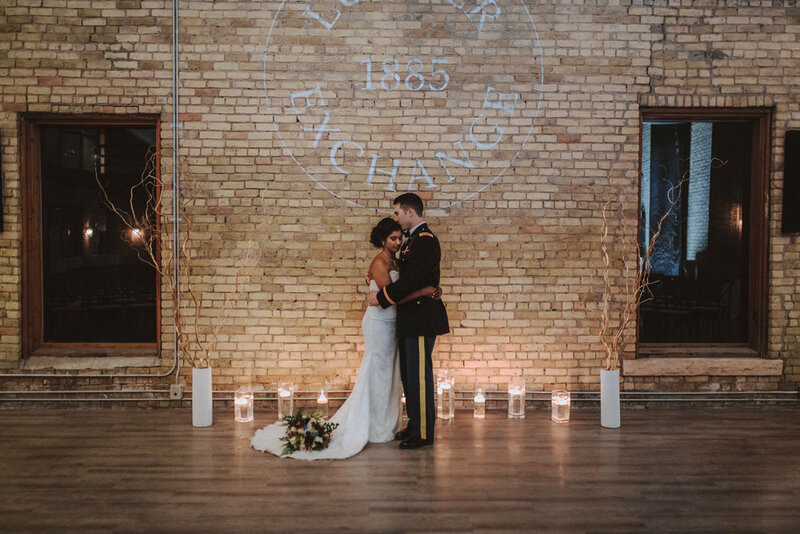 The Western wedding took place at the Lumber Exchange Building, which also happens to be the first skyscraper built in Minneapolis, MN. The main room, the Fountain Room, is a nine-story atrium with romantic natural light and rustic extravagance. 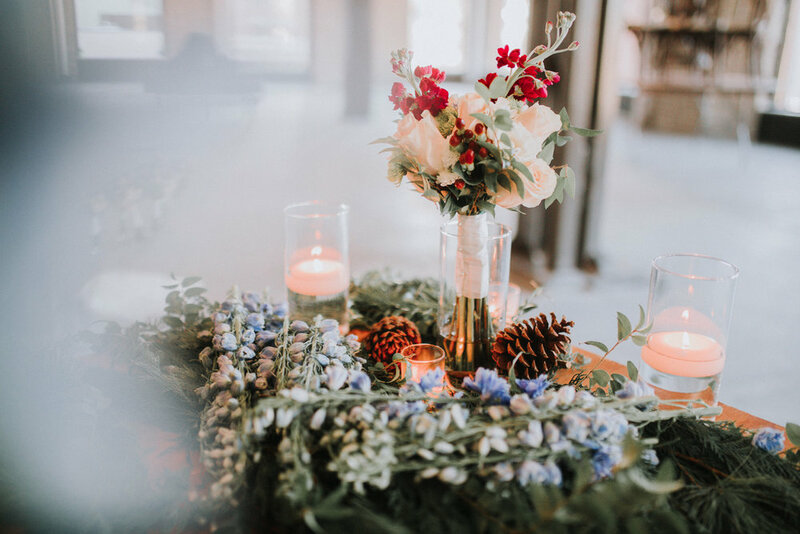 As you enter, an impressive fountain trickles down a brick wall and glittery chandeliers & sconces with vintage lamp posts fill the Fountain Room with a warm ambiance. 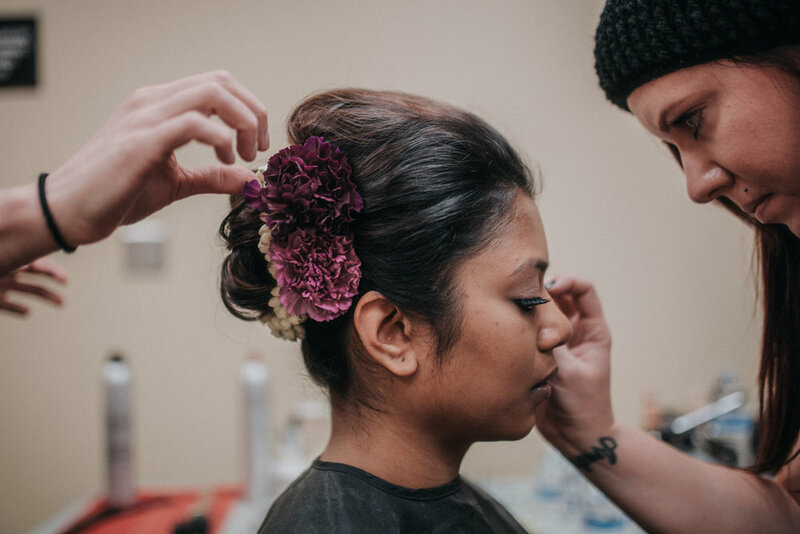 Smita and Erik's Western wedding had the perfect amount of vintage touch paying homage to the 1920s combined with the new and upcoming rustic style popularizing modern weddings. 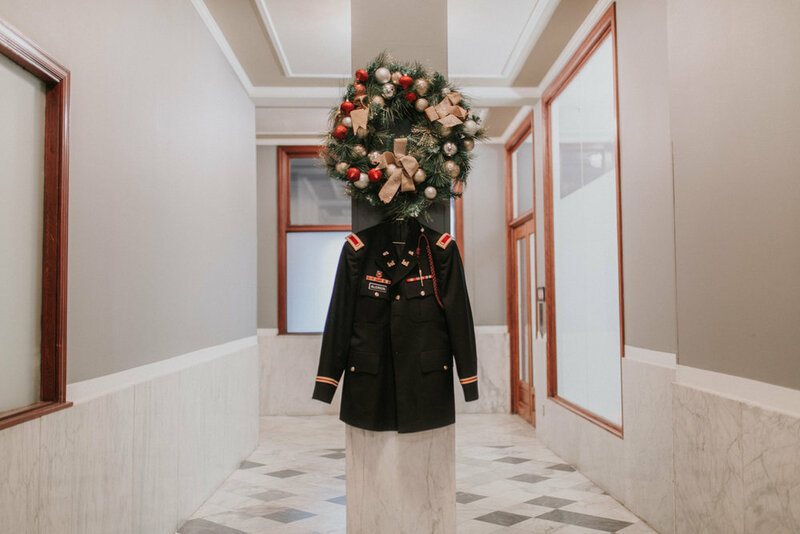 This remarkable building had a marble staircase, romantic windows overlooking downtown Minneapolis, and access to popular bars The Pourhouse and The Exchange & Alibi Lounge. 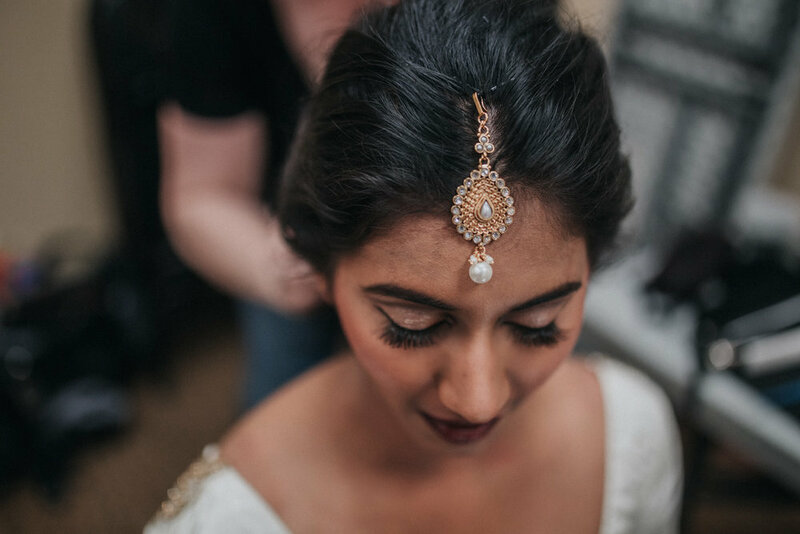 The entire day was filled with love and opportunity: Smita and Erik's first look was at a romantic pearl-colored marble staircase, we surprised the bridal party with their own first look (and oh boy, they were so excited), and the ceremony itself took place in the grand Fountain Room. 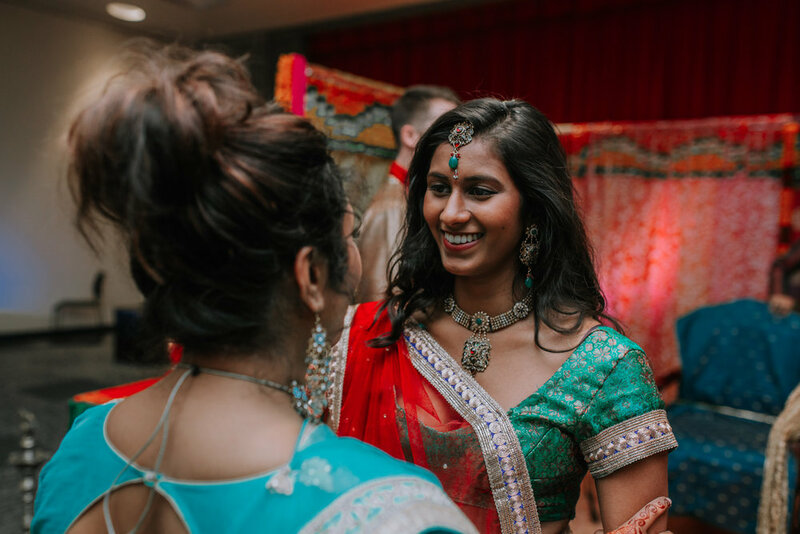 After a fast day of warmth and dancing, I zoomed back home to catch a few hours of shut-eye to prepare for the next day's Hindu celebration. 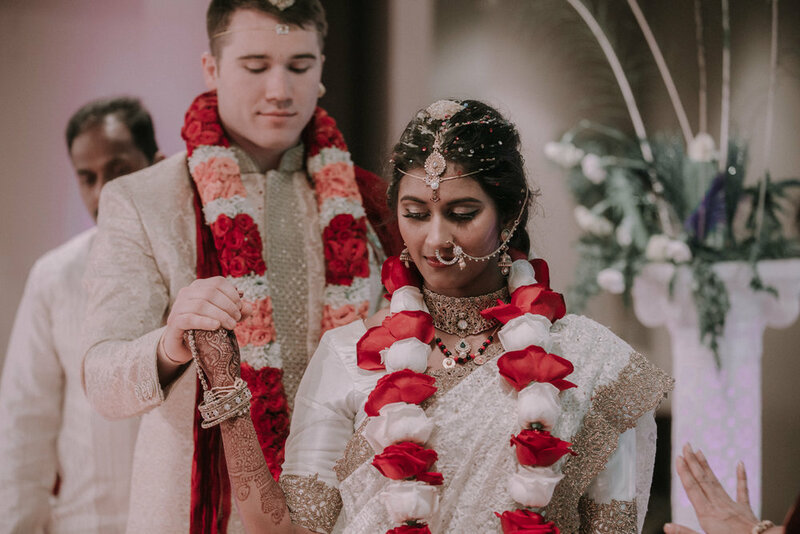 The Hindu wedding ceremony has been celebrated in accordance with the traditions of the Vedas (ancient Hindu scriptures) for over five-thousand years. 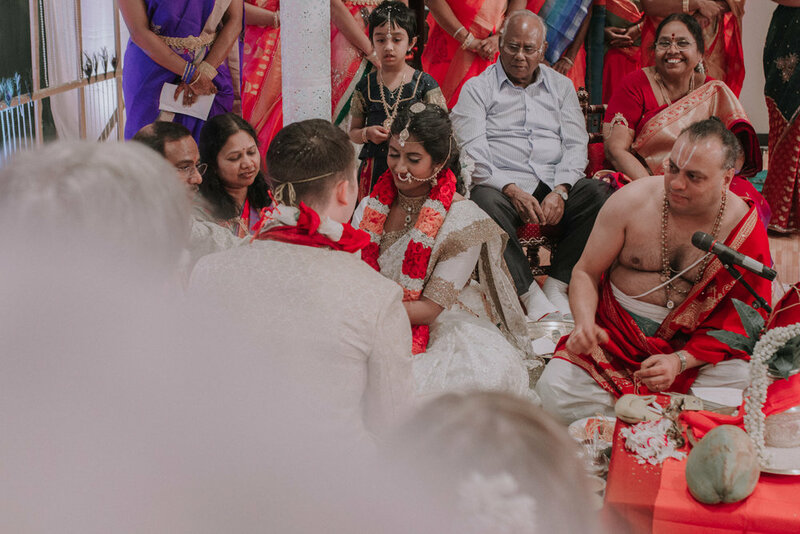 The ceremony is performed in the mandapam (wedding pavilion), conducted in the sacred language of Sanskrit, under the presence of God symbolized by agni (fire). 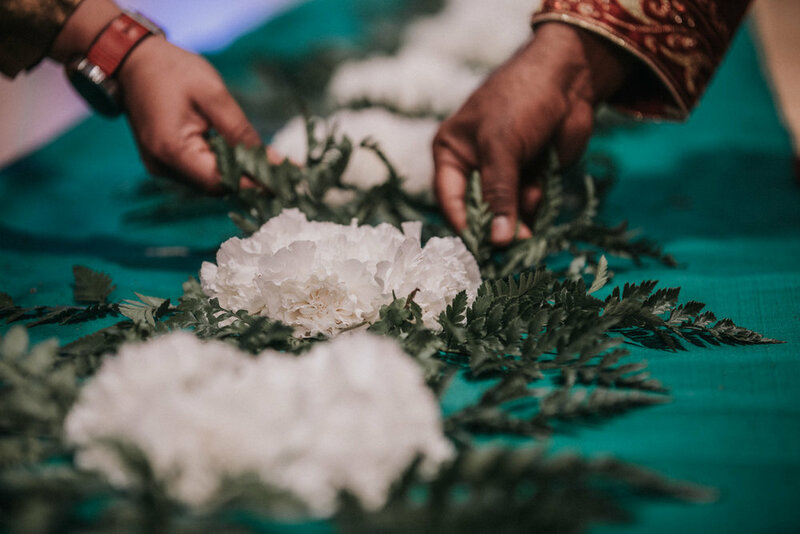 The ceremony rituals (as described below) are meant to unite the bride and groom so firmly that their souls merge and become a spiritually harmonious entity. 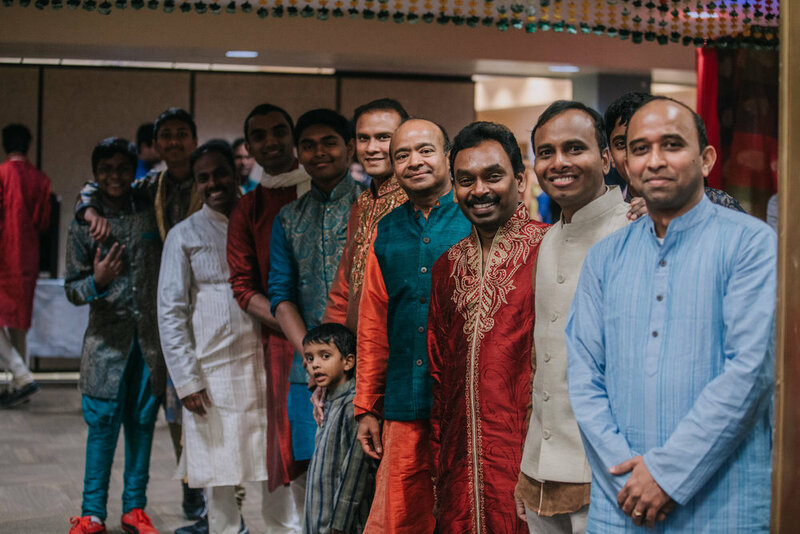 The Hindu wedding celebration was a festive explosion of color, tradition, and merging of two families. 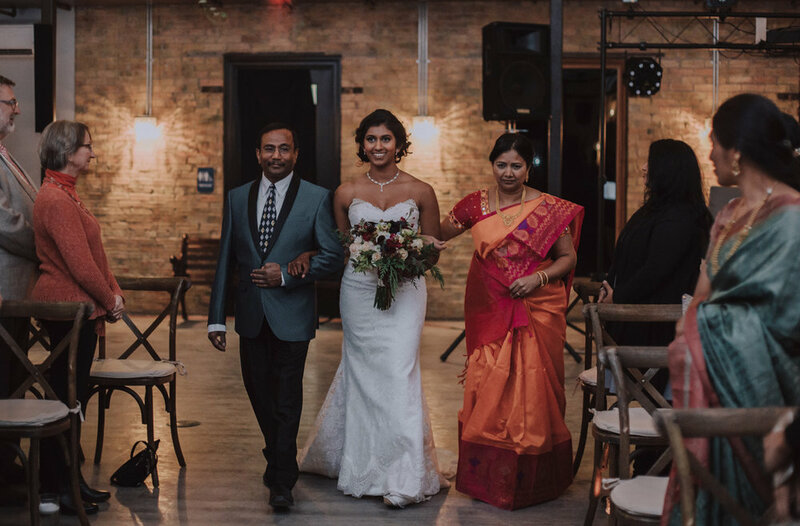 Vara Agamanam: Smita's family greets and welcomes Erik's family and leads them to the altar. Ganapathi Puja: Lord Ganesh, remover of obstacles, is worshipped at the beginning of the ceremony by the priest, on behalf of the families. Vara Puja: Erik is honored with a Vedic welcome. 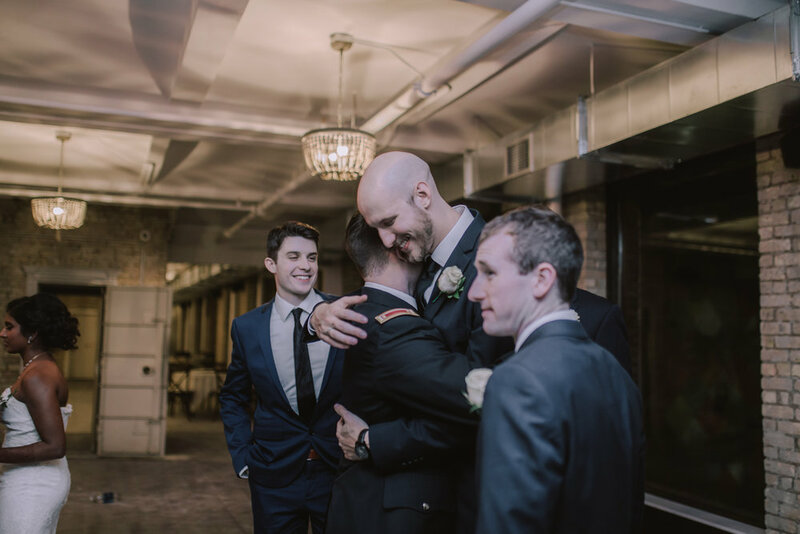 The groom's family is invited to participate in the ensuing ceremonies. 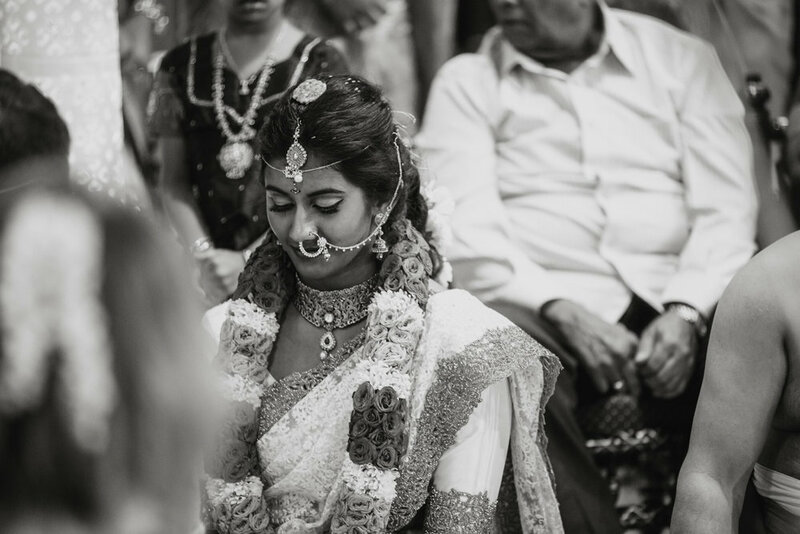 Kanya Agamanam: Smita is escorted by her maternal uncle to the mandapam. 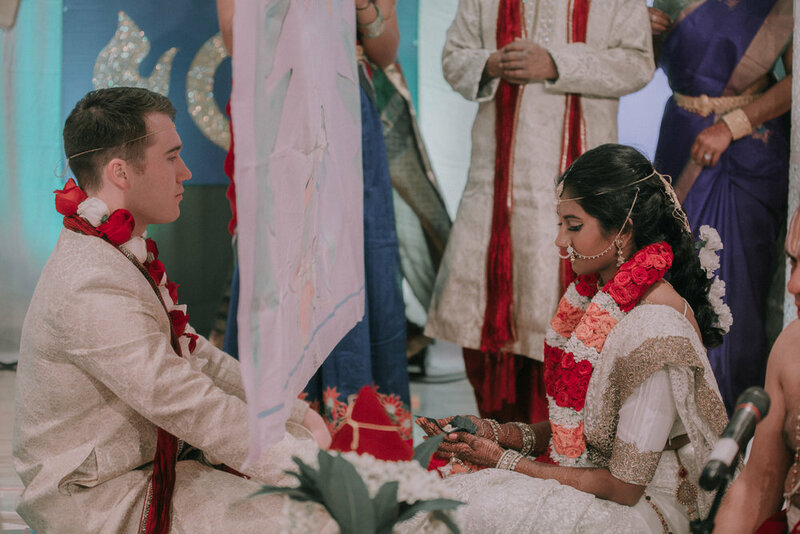 Smita and Erik are seated on either side of the antarpata (curtain symbolizing their separate existence prior to marriage). 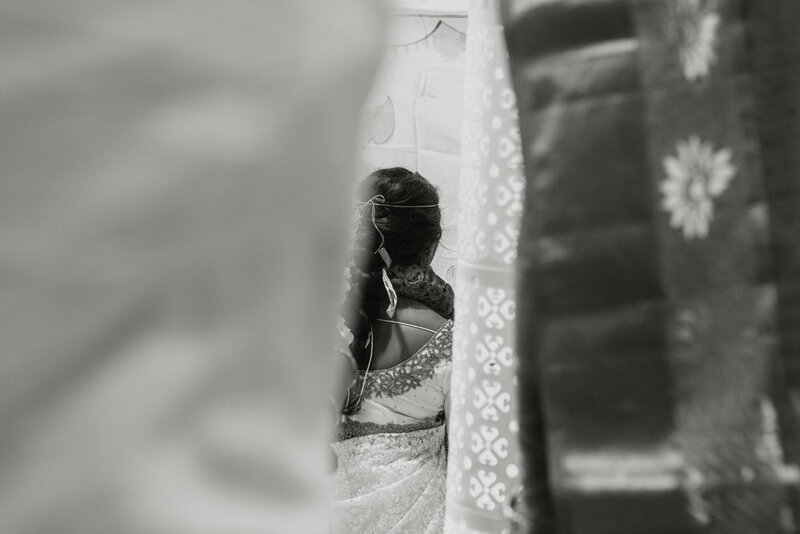 When the curtain is removed, the bride and groom view each other benevolently (Shubha Veekshane). 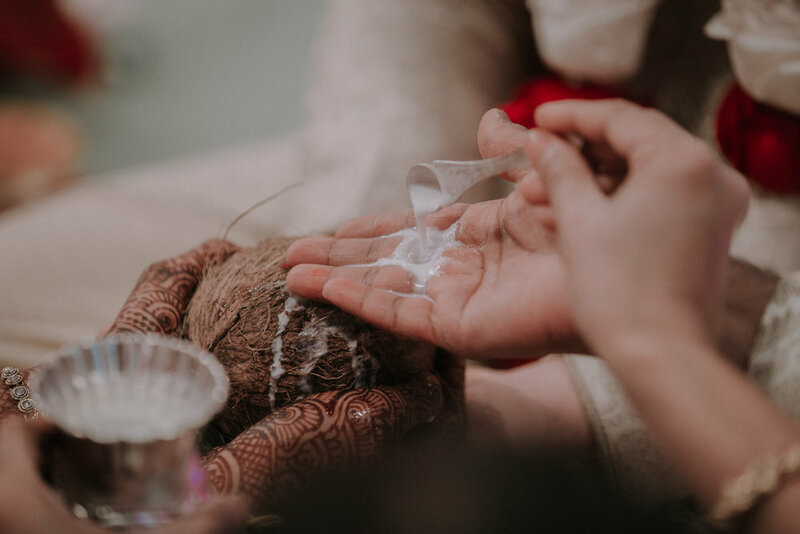 Kanyadanam: Smita's parents request the permission of the God, the elders of the family, and the wedding participants to perform kanyadanam (give away the bride) and pray that the Almighty will help the couple uphold dharma (ethics) and truth. 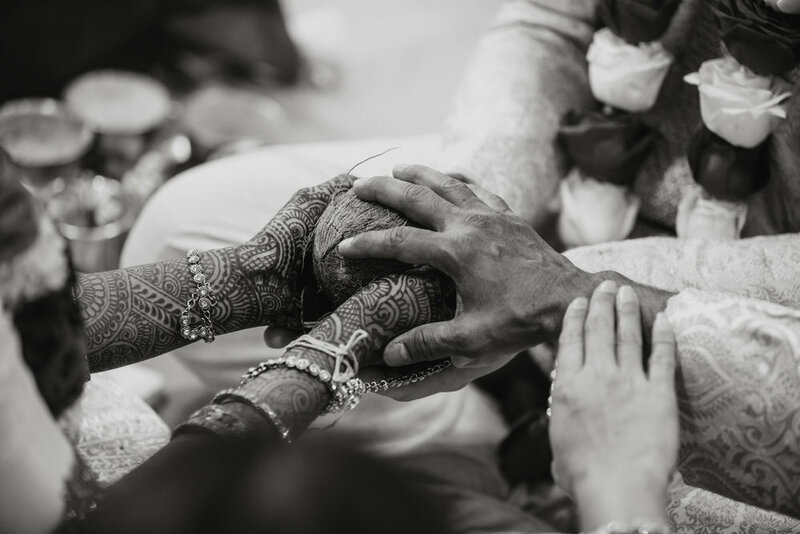 They place the bride's hands in the groom's palms and pour water over their joined hands (panigrahanam). 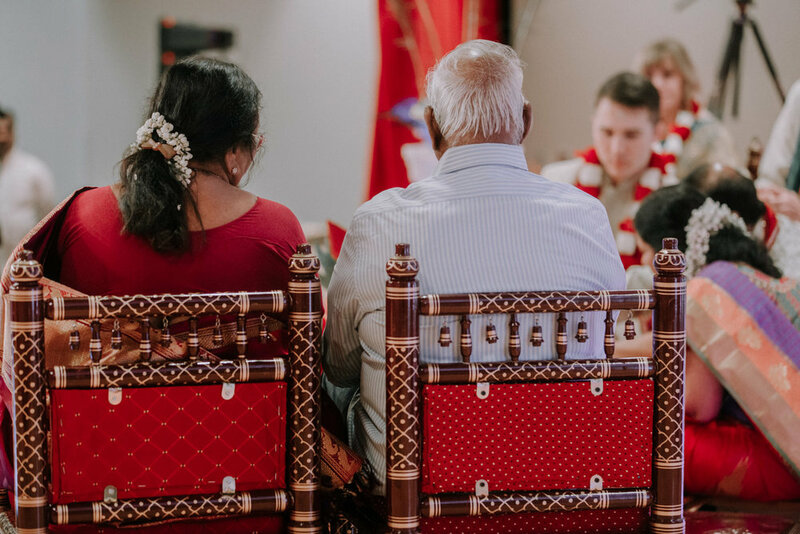 Erik gives Smita's father assurance that he will remain forever her companion in joy and sorrow, as well as protect and cherish her. 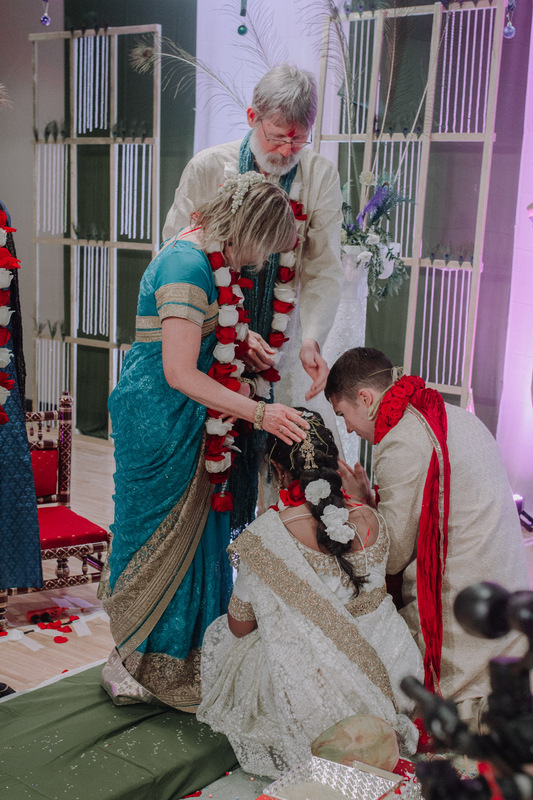 Sumuhurtham: Smita and Erik apply a handful of jeelakarra-bellam paste on each other's heads. 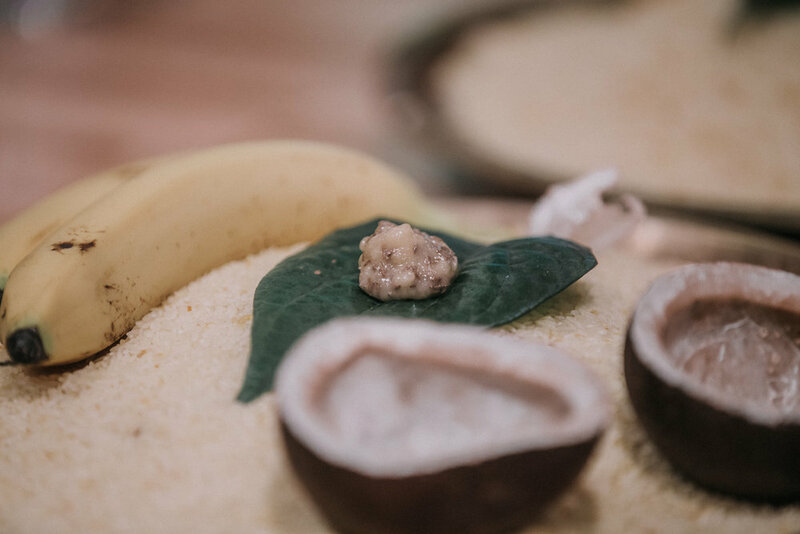 This consists of mildly bitter cumin (jeera) and sweet jaggary which ground together create an inseparable mixture, to signify a promise that Smita and Erik will be inseparable through life's bitter and sweet moments. 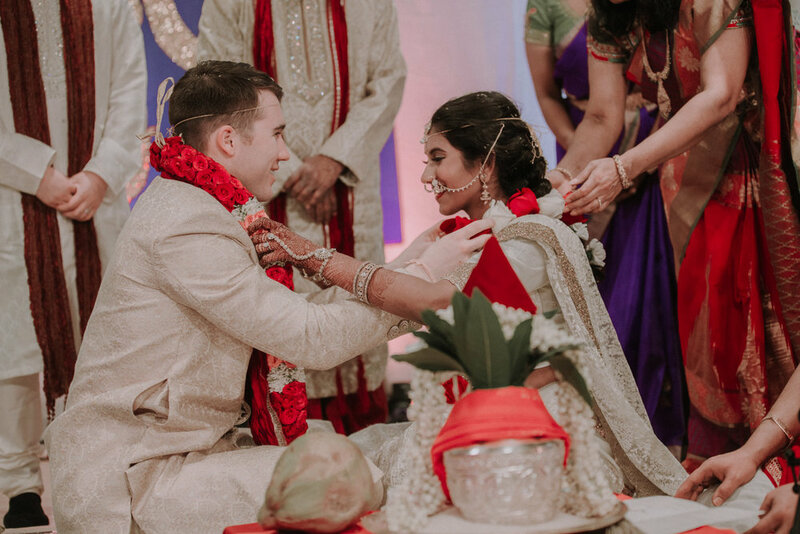 Managalasutra Dharnam: Erik ties the managalasutra (sacred necklace) around the bride's neck with three knots as a symbol of love and integrity. 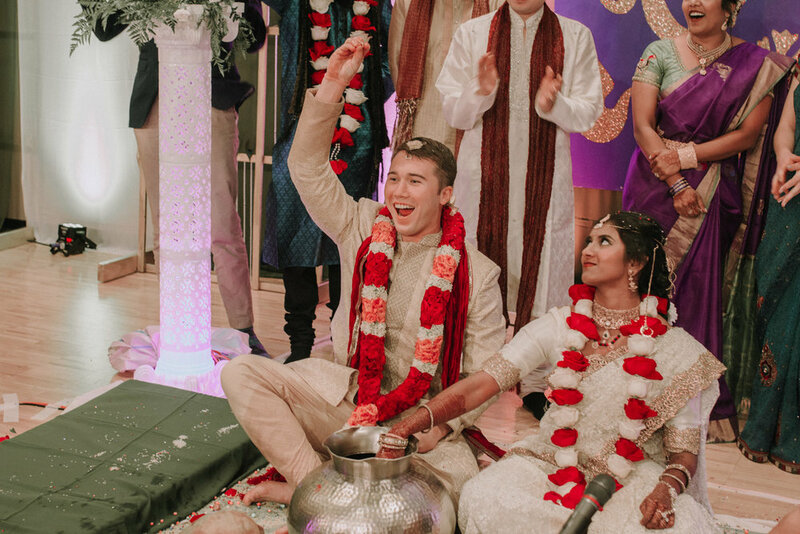 They then exchange wedding rings and jai mala garlands. Talambaralu: Game time! 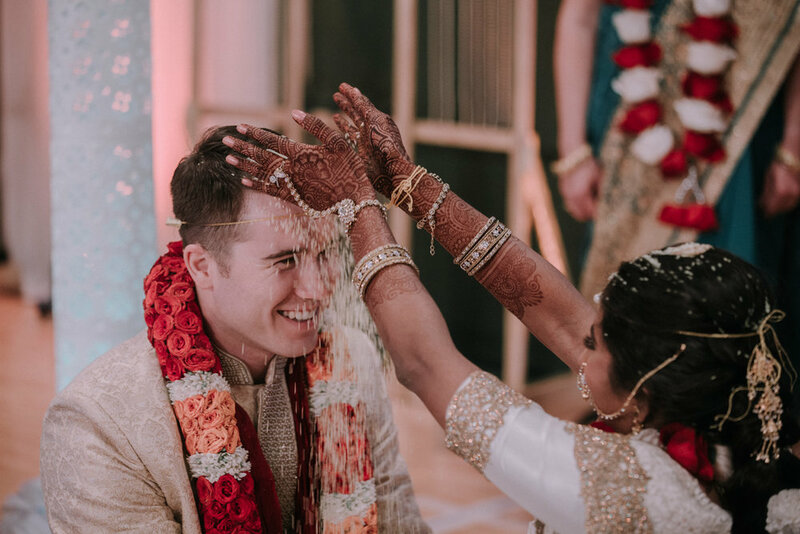 Smita and Erik exchange talambaralu by playfully pouring purified rice mixed with turmeric on each other's heads. This denotes the couples desire for happiness, enjoyment, and contentment and is a symbol of prosperity and good health. They also compete in search of a ring hidden in a pot of water with milk. Whoever wins best of three is said to be dominate the family (Erik won, by the way). 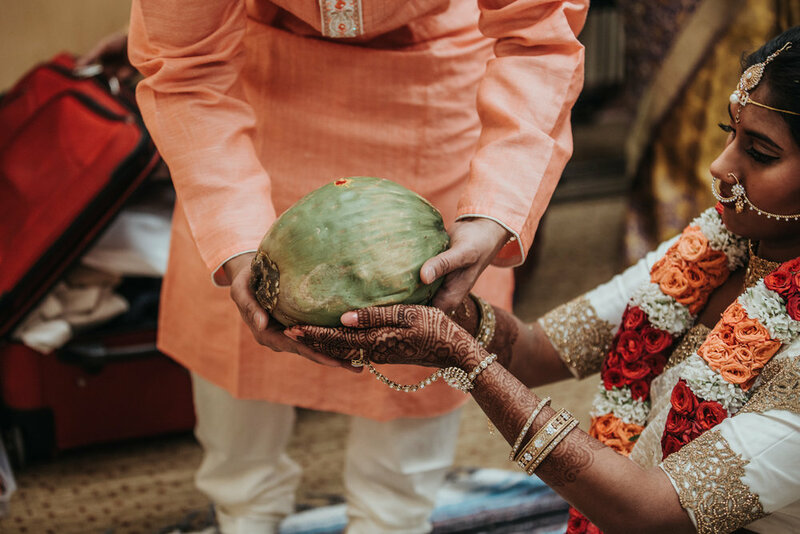 Pardhana Homam: Various deities that protect the bride and groom are worshipped by offering ghee into the sacred fire (agni). 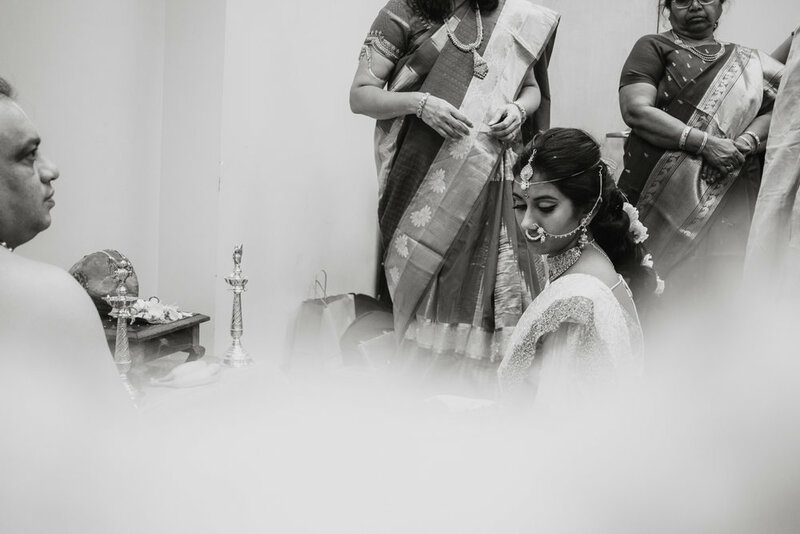 Smita is presented with a pair of silver toe rings and Erik puts them on her as a symbol of wedlock. 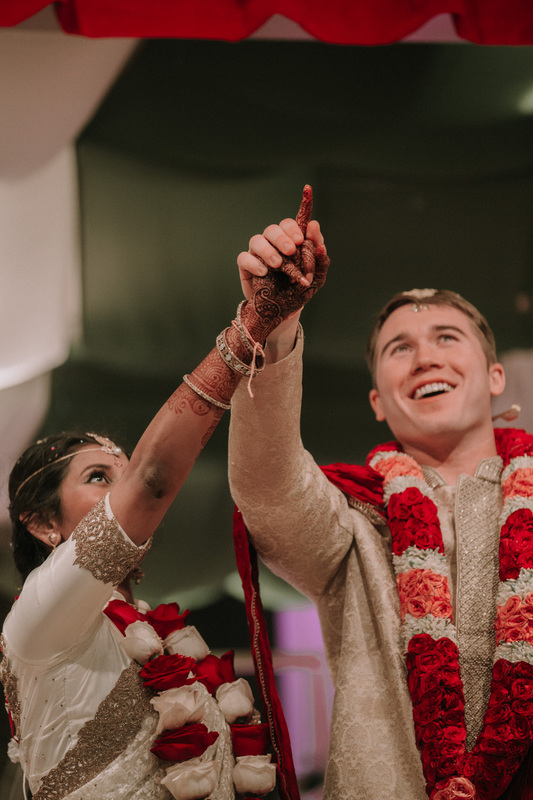 Saptapadi: Smita and Erik take seven steps together around the altar. 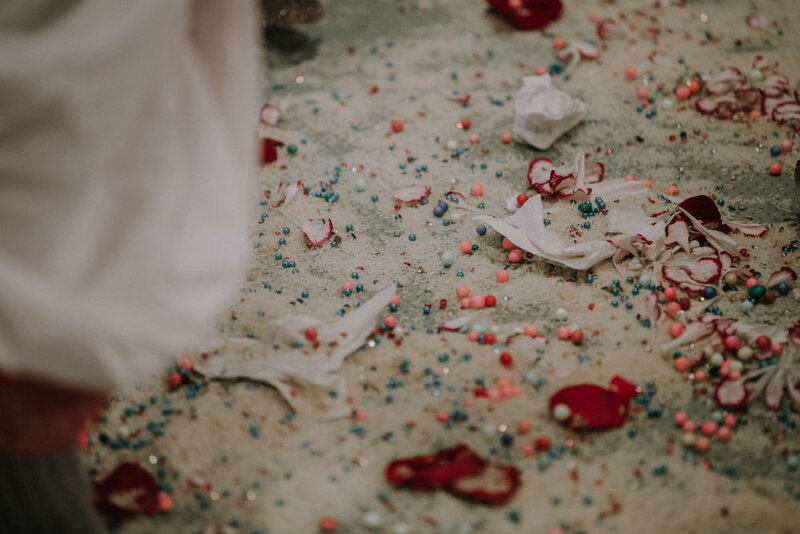 Each step symbolizes a wedding vow and represents the beginning of the couples journey through life together. 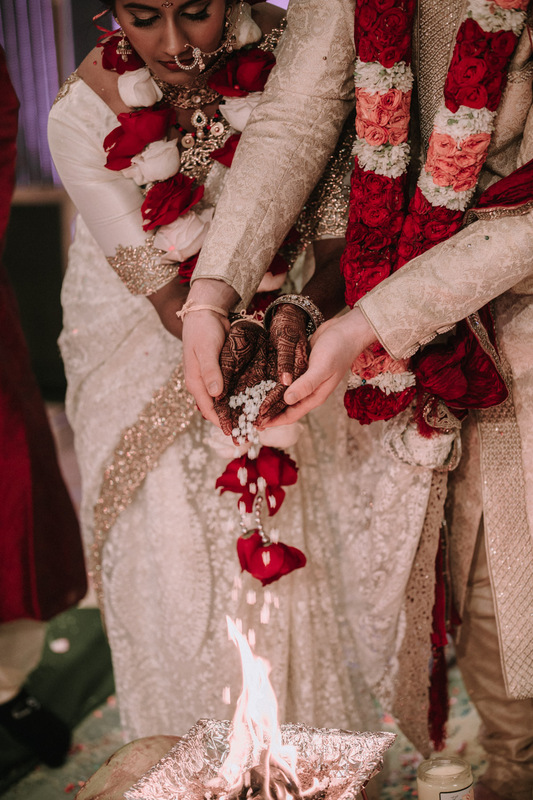 Arundhati Dharshanam: Erik holds Smita's hand to show her the double stars of the ideal Vedic couple, Vaishtha and Arundhati, and vows to emulate their mutual respect, love, loyalty, and harmony. 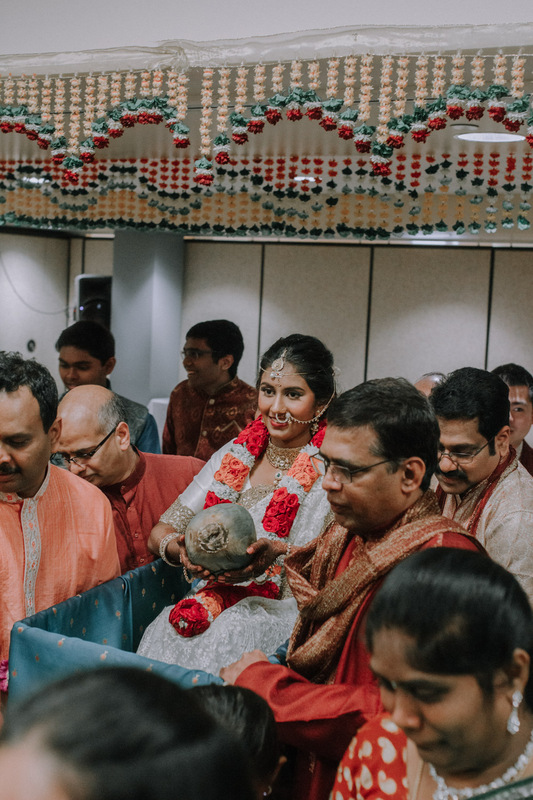 Ashirvadam (Blessings): At the conclusion of the ceremony, the priest recites Vedic hymns that bless the newly wedded couple and invites their parents and elders to bless the couple. 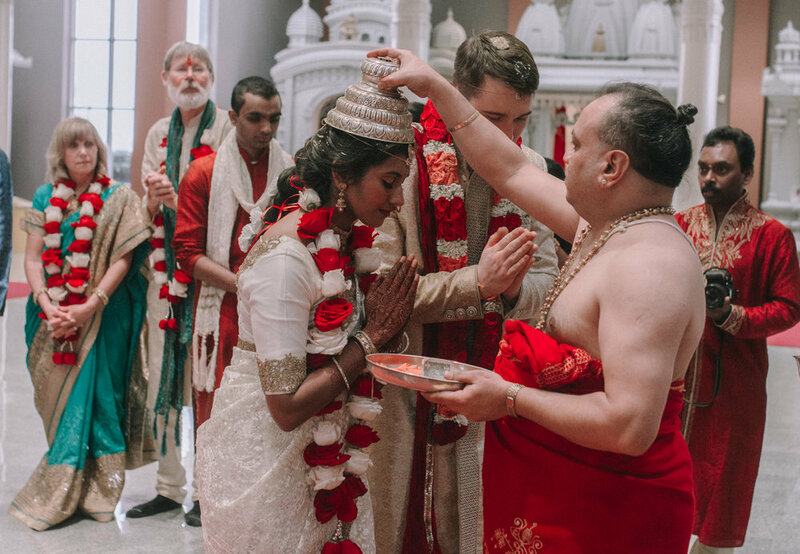 Smita and Erik honor the elders and the officiating priests.